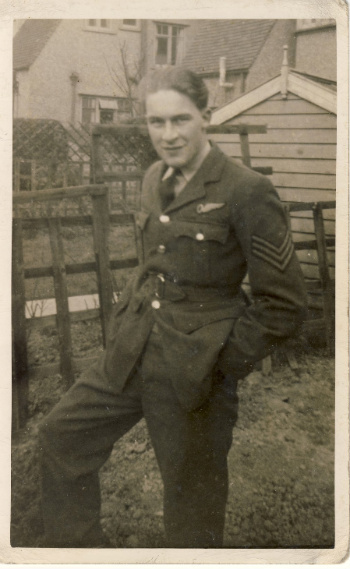 Flt Sgt Gilbert John (“Jimmy”) Green was the bomb aimer in Cyril Anderson’s crew aboard AJ-Y on the Dams Raid. See here for more about what happened to this crew after the raid. A relative of Green’s has recently been given some memorabilia concerning him and has written about it on the WW2Talk Forum. Cyril Anderson’s nephew, Dom Howard, has done a great job over the last few years researching the careers of the Anderson crew, and visiting their graves in Germany. He has posted more details and some pics on the thread on WW2Talk. Previous Article Guilty as charged! Sharpes of Nottingham are a coach company from Nottingham – they are organising a coach trip to commemorate the Dam Buster raids of 1943 marking the 70th anniversary. The trip will leave Nottingham area on 28th May 2013 for 5 days returning on 1 June 2013 – full itinerary is on our website http://www.sharpesofnottingham.com. We are visiting the Rheinberg cemetary where the crew led by Cyril Anderson of Bomber Command along with Jimmy Green are buried and the Reichwald Forest cemetary. If you are interested in joining the trip please contact the website or telephone 0115 9894466 for further details.